The language courses are tailored to meet the present day clients' needs; they correspond to the requirements of the current linguistic policies and multicultural Europe. PSLC has extensive experience and expertise in teacher training and material development, including several computer based learning programmes, textbooks for schools, learning materials for self-study, other publications. The Centre has been involved in several teacher training initiatives: in-service training seminars and workshops, intensive courses for teachers, training and testing school administration, professional development activities, especially in the field of adult and non-formal education. PSLC is on the Founders’ Board of the Lithuanian Association of Language Teachers that aims at promoting language learning and contributing to professional development of language teachers, cooperating with the European language teaching community in civic education and raising cultural awareness. PSLC has successfully co-ordinated and participated in the EC supported projects dealing with domains such as promotion of languages, ICT-assisted language learning, professional development and networking; it has extensive experience in dissemination activities, both in the country and on a wider scale. Euro Languages Net Plus -www.euro-languages.net - aimed at promoting learning of LWULT languages. The main product of the 26-partner- project ( PSLC – coordinating institution) is a web portal in 23 languages for all those who care to know more about the European languages and the countries where they are spoken. The main project objective was to raise awareness of the advantages of knowing foreign languages in terms of employment, mobility, social interaction and multicultural education. 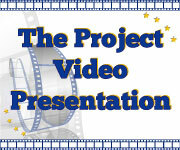 The website provides the project product fair – a most effective tool to disseminate best practice and project results. Lingua connections – www.linguaconnections.eu - is a network of project teams that work in the area of languages at local and European levels. 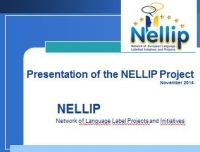 The network supports language projects in promoting their products and results to a wide audience and in raising their impact at European level. Lingua Connections offers a dissemination and promotion guide for your language project, while it provides you with tools and ideas that can help you reach the right target group at the right time. DissMark - http://www.ihtallinn.ee/?id=10990 - is a Socrates Accompanying Measures project aiming to address the issue of insufficient dissemination and marketing skills within teams involved in (Socrates) educational projects. The language café – www.languagecafe.eu – Language Cafés are being set up all over Europe and are taking language learning in an exciting direction. In a Language Café you can meet people to practise speaking other languages, share cultural interests or just simply socialise. Language Cafés can be found in real cafes and also in cinemas, bookshops, libraries and even online. CONTRIBUTIONS THAT CAN BE PROVIDED TO THE PROJECT PSLC will collect and analyse the data on the European Language Label initiatives in Lithuania and Latvia and present Case Studies as specified in the Application; it will contribute to the development of the recommendations and hold a workshop and other events on exploiting the European Language Label projects and initiatives results. CONTACT PERSON’S EXPERIENCE AND EXPERTISE Dr Olga Medvedeva studied philology and foreign languages at Moscow State Linguistic University. 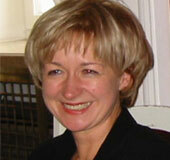 As a teacher of English and French she has worked in adult, vocational and higher education in Lithuania and abroad. She has been extensively involved in designing teaching materials and tests; is an experienced teacher trainer ( EUROLTA master trainer). She is often invited as a speaker to conferences and international workshops mainly to share best practice in adult language education, and to promote projects aimed at developing multilingualism, culture studies, innovative language learning. Since 2000 Olga Medvedeva has been involved in over 30 European projects and initiatives, implemented at the Public Service Language Centre Her present interests include applied Linguistics, semantics, intercultural communication and teaching languages for specific purposes.